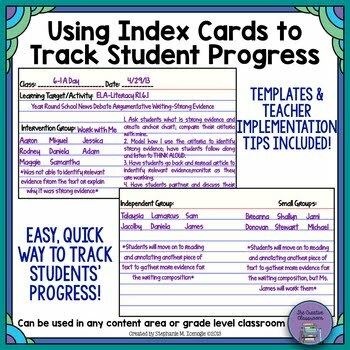 One of the easiest and most beneficial ways that I track my students' daily progress is using index cards. I am able to record information from student work to make instructional decisions and have that information at my fingertips at all times. I use the index cards to group students based on their student work and understanding. 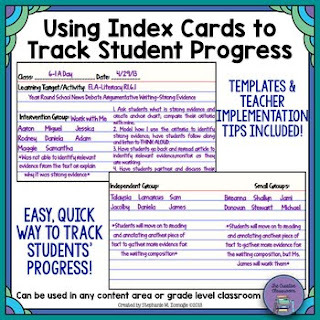 This product will help you begin to incorporate using index cards in your own classroom. There are three different designs and two teacher models filled out to help you get started.